Two kids with serious liver diseases are saved after surgeons of the National Children Hospital in Hanoi performed transplants. 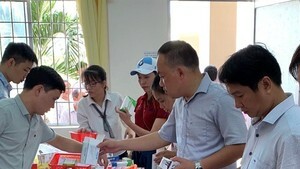 The first kid is 4 –year-old boy from the northern province of Thanh Hoa who is at high risk of death because he suffered innate gall disease and cirrhosis. The donor is his grandma. The operation took 12 hours. The second patient is 15 years old who has Wilson disease, a rare autosomal recessive inherited disorder of copper metabolism that is characterized by excessive deposition of copper in the liver, brain, and other tissues. He is at the last stage of cirrhosis. The donor is his 31-year-old uncle.